AUSTRALIAN Rainforest Foundation, which has purchased and protected 36 Australian rainforest properties, has announced its merger with long established US-based charity, Rainforest Trust. The new entity, Rainforest Trust Australia, will act as the Australian arm of the organisation, and Mullumbimby man Kelvin Davies has been appointed as the group's CEO. Mr Davies comes to the role with a long history in rainforest conservation, including serving as CEO and founding director of Rainforest Rescue for 15 years. He said the merger will see significant gains in rainforest conservation across the globe, as well as a focus on northern NSW activities. 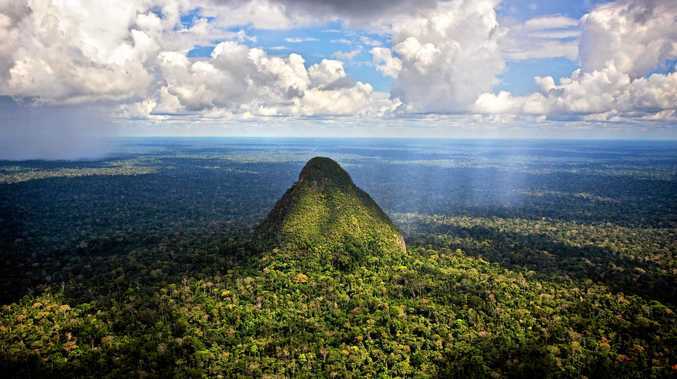 "In collaboration with a local conservation partner, Rainforest Trust recently celebrated their landmark creation of the immense 3.3 million acre Sierra del Divisor National Park in Peru's Amazon rainforest," he said. The new national park is the final link in a 67 million acre Andes-Amazon Conservation Corridor that protects both wildlife and indigenous communities. The US organisation also protected 168,032 acres of rainforest in Borneo from logging and oil palm companies. The land is essential habitat for endangered wildlife such as Bornean Orangutans, Bornean Pygmy Elephants and Clouded Leopards and includes some of the most critical stretches of lowland rainforest in Borneo. "Rainforest Trust has ... a goal of saving 50 million acres of rainforests and tropical habitat for endangered species around the world by 2020. What is really exciting is that Australia's rainforests are now on the radar as part of that bigger picture," Mr Davies said. "Australian donors can now make tax deductible donations to support Rainforest Trust's global land conservation projects, but more significantly, donors from all over the world can help protect rainforests here," Mr Davies said. Through the merger, Rainforest Trust Australia gains expertise from the USA, including renowned ornithologist and conservationist Paul Salaman, who has personally discovered five new bird species. "Locally, we are engaging the Madhima Gulgan Bush Regeneration Team to restore the Big Scrub Rainforest," Mr Davies said. "Through this program, we create employment for Aboriginal people working on Country." The organisation will launch its new Daintree Rewilding project this month to buy back 20 properties in the Daintree Lowland Rainforest. More information is available at rainforesttrust.org/australia.